They’ll enjoy the delicate sweetness and rich flavors of Italy, without the cost of going there. 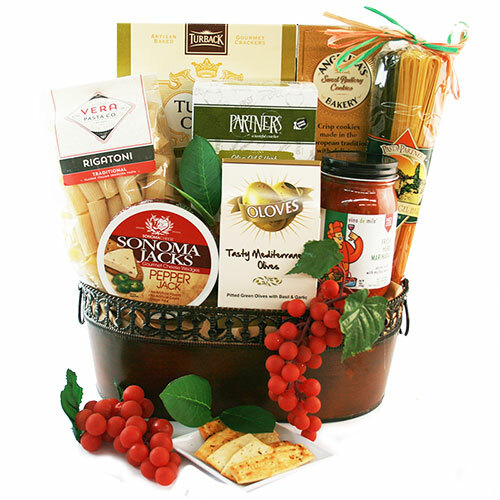 With everything they need to stir up a tasty Italian meal, this handsome basket is perfect for Dinner for Two! For best results, just add candlelight!